Jack and Keith Hubacher of the Beach Boys. The had somewhere around 80 Snook and Redfish combined! 1 of 30 Snook Will caught, not all giants but still fun! The fishing is really consistent right now down at Flamingo, if your just out to bend the rods all day there are plenty of fish to do that. The numbers of small Snook and Redfish are incredible you have to go thru a bunch of small guys to catch some that are bigger but most people don’t seem to mind. This has been really good on the days I have kids on board. It has allowed me to teach casting, and fighting fish to the boat to the younger kids. When you are busy they don’t get bored! The Tarpon bite got disturbed by the cold front last week. They were not very thick, really spread out in the Gulf of Mexico for a few days but as of 03 12 19 they had showed back up. The Tripletails were out in the Gulf in good numbers, saw a few schools of up to 6 fish just floating. Jerry caught that nice one in above picture. 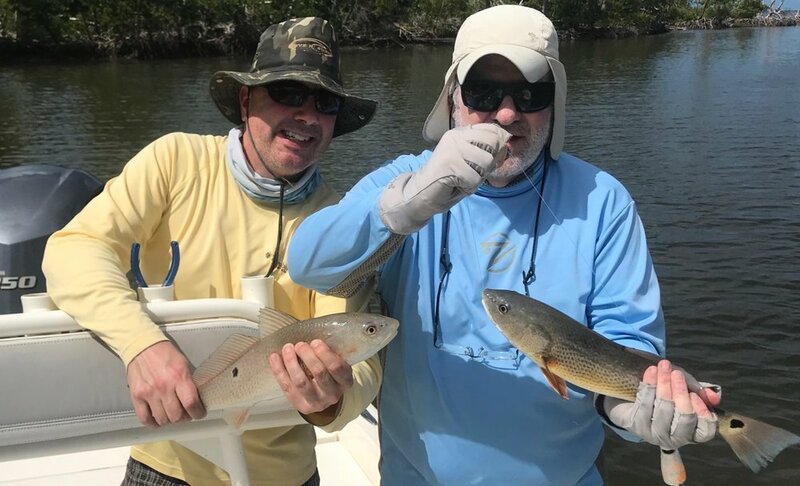 Jerry and his cousin Nick had 10 Species Snook, Redfish, Trout, Shark, Ladyfish, Jack, Goliath Grouper, Tripletail, and of course both species of Catfish. If you are interested in a some spring break fishing with your kids or family this would be a good time to do it. If you want Tarpon this is a good time as well so give me a call at 305 333 8149. Caught Lookin Charters is a kid and family friendly charter business. Newer Post2019 Flamingo houseboat trip!